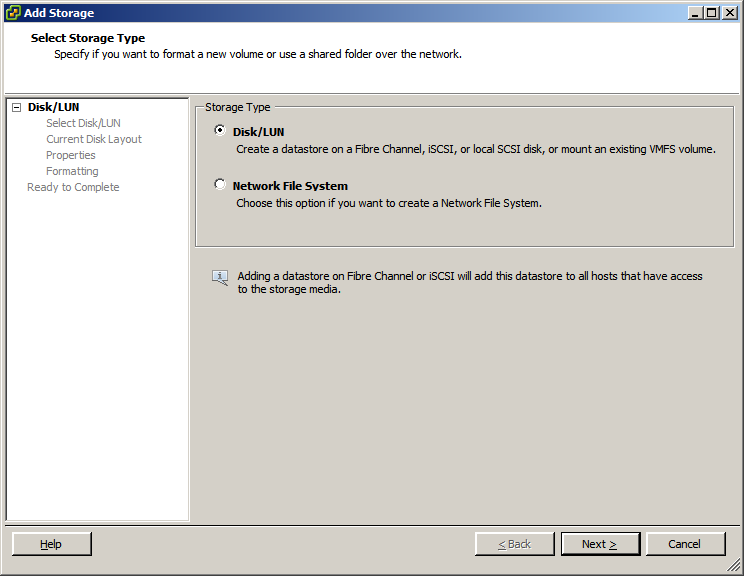 Setting up a datastore in VMware using fibre channel takes just a few simple steps. 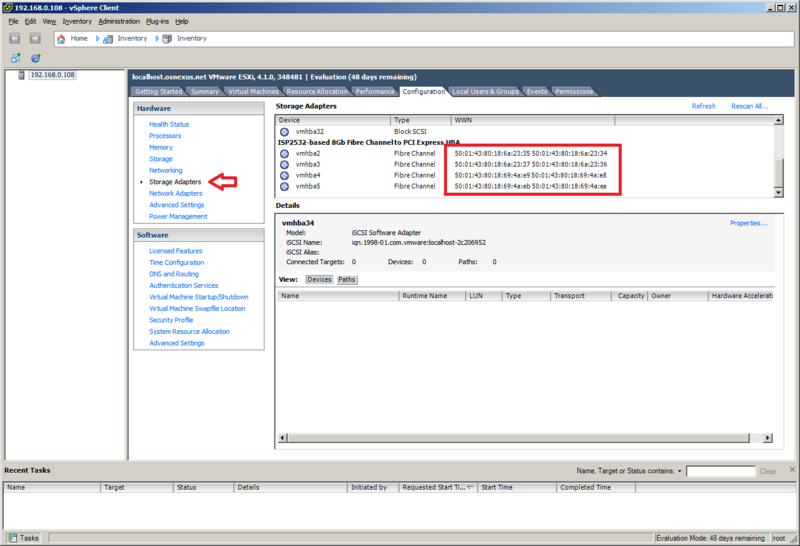 First verify that the fibre channel ports are enabled from within QuantaStor. You can enable them by right clicking on the port and selecting 'Enable FC Target Port'. Create a host entry within QuantaStor, and add all of the WWNs for the fibre channel adapters. To add more than one initiator to the QuantaStor host entry, right click on the host and select 'Add Initiator'. 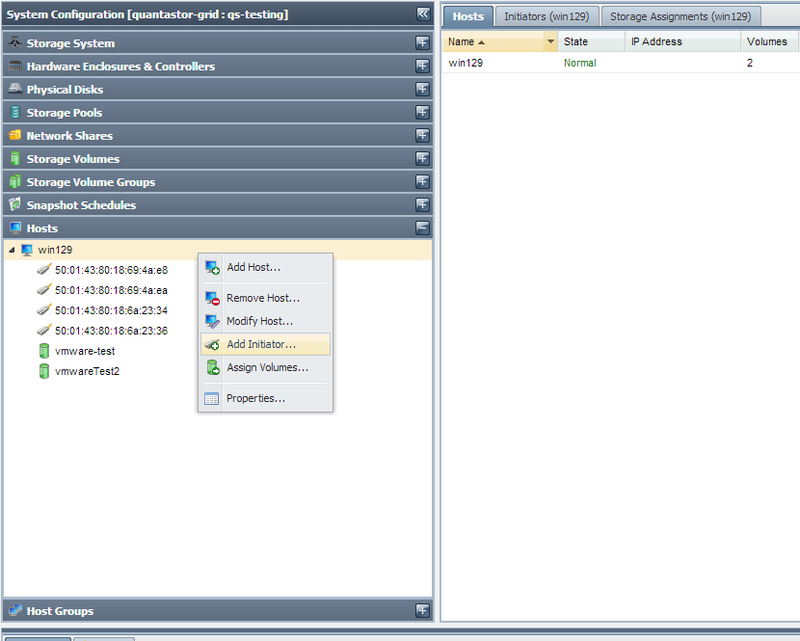 The WNNs can be found in the 'Configuration' tab, under the 'Storage Adapters' section. Now add the desired storage volume to the host you just created. This storage volume will be the Datastore that is within VMware. 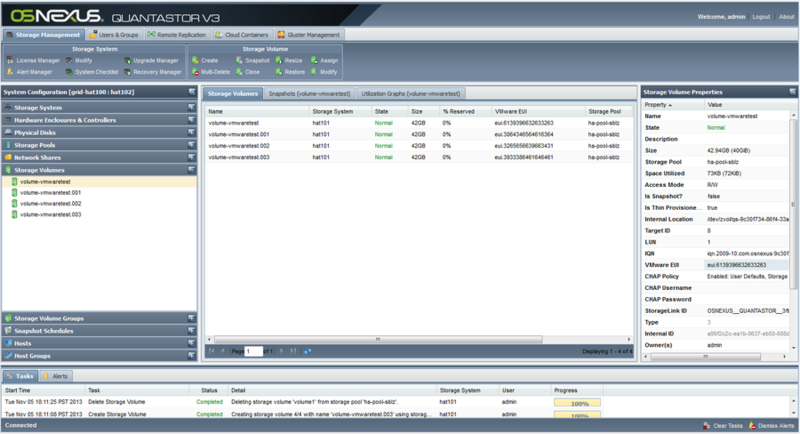 Next, navigate to the 'Storage' section of the 'Configuration' tab. From within here we will want to select 'Rescan All...'. In the rescan window that pops up, make sure that 'Scan for New Storage Devices' is selected and click 'OK'. After the scan is finished (you can see the progress of the task at the bottom of the screen), select the 'Add Storage...' option. Make sure that 'Disk/LUN' is selected and click next. 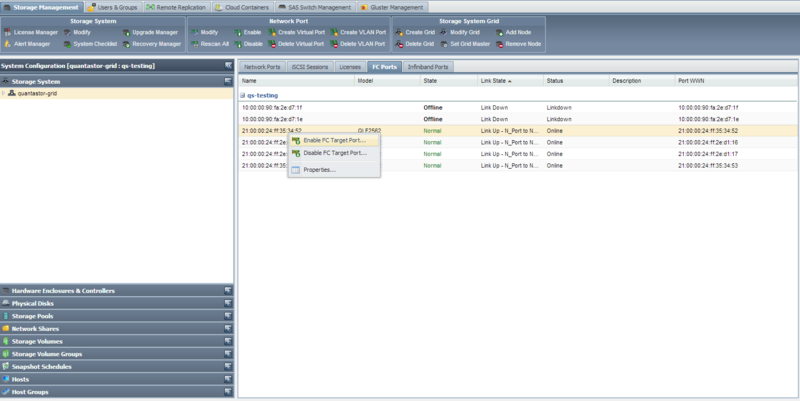 If everything is configured correctly you should now see the storage volume that was assigned before. Select the storage volume and finish the wizard. You should now be able to use the storage volume that was assigned from within QuantaStor as a datastore on the VMware server. 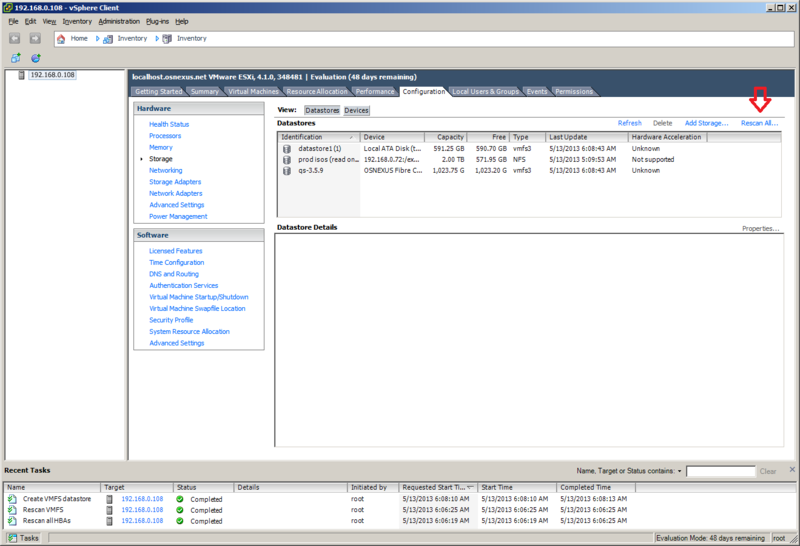 The VMware EUI unique identifier for any given volume can be found in the properties page for the Storage Volume in the QuantaStor web management interface. There is also a column you can activate as shown in this screenshot. 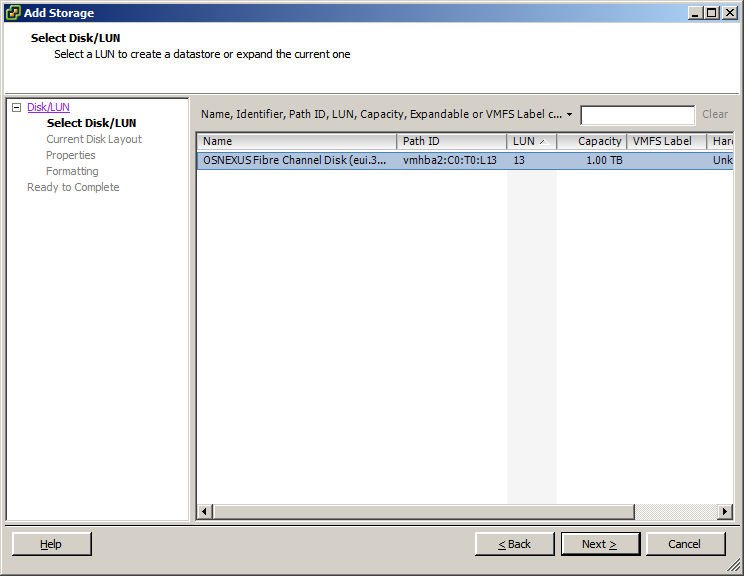 This screen shows a list of Storage Volumes and their associated VMware EUIs which you can use to correlate the Storage Volumes with your iSCSI device list in VMware vSphere. This page was last modified on 21 March 2019, at 18:32.